March to the beat of your own drum like Bubba Watson, and swing with confidence from tee to green with the Oakley Bubba Watson Sendon Polo. 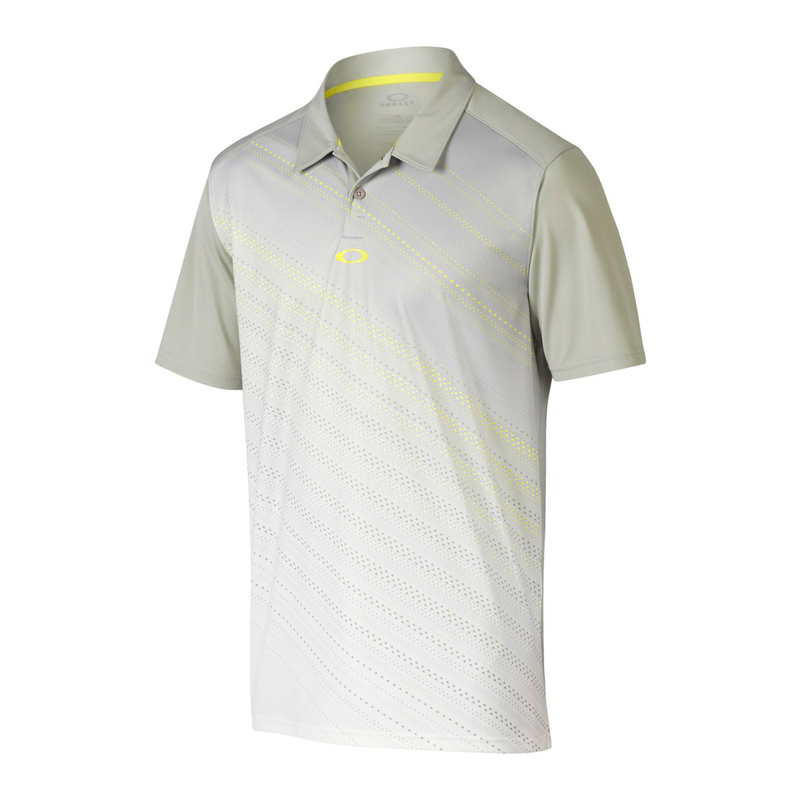 Interlock knit fabrication and a front panel with sublimated graphics give the polo the modern, athletic look made popular by Bubba, and moisture-wicking, UV-treated fabric helps keep you dry while shielding you from the sun's rays. With set-in sleeves, forward shoulder seams and logo stamping, this Oakley polo provides pro-performance function and a fashionable fit just like your favorite golfer.